Used in process and field communication in cell networks. Been widely adopted for production and process automation applications providing transmission rates up to 12Mbits/sec. 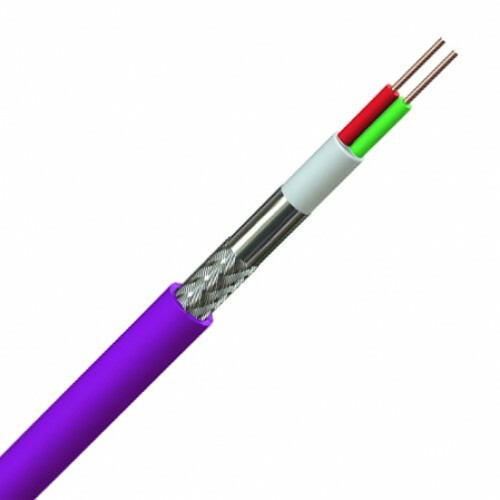 Plain copper conductors 0,64mm (22AWG), foamed PE with a hard skin insulation, synthetic bedding, aluminium foil screen & tinned copper wire braid – 60% coverage, thermoplastic or thermosetting sheath. 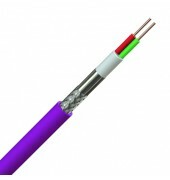 Plain copper conductors 0,25mm2 Foamed PE with a hard skin insulation, cores laid up with fillers and a polyester tape, aluminium foil screen & tinned copper wire braid – 60% coverage, polyurethane (PUR) sheath.